Courage and bravery are not qualities that is to be instilled in those who are present just on physical battle-fields; we all know that life is in itself a battlefield and every single moment is a war. It's very easy for anyone in this world to just give up. But, to hold it all together, facing that fear(which is mostly just an illusion), when almost everything has fallen apart, is the true strength. Here we bring to you some breath-taking quotes on courage that is sure to help you face those fears and move ahead with unlimited fearlesness. 1. 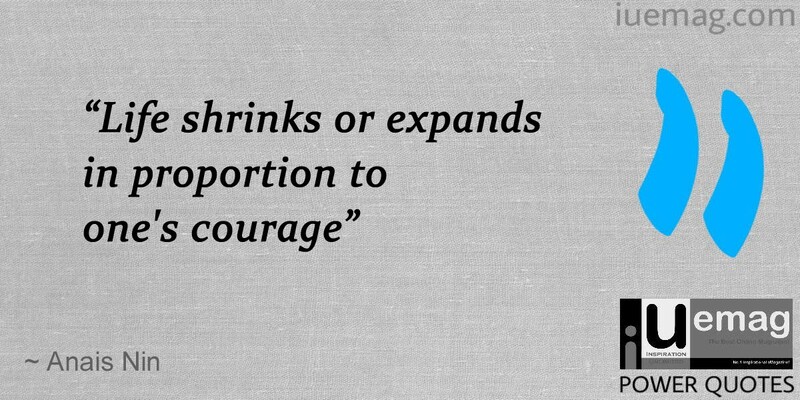 "Life shrinks or expands in proportion to one's courage"
2. 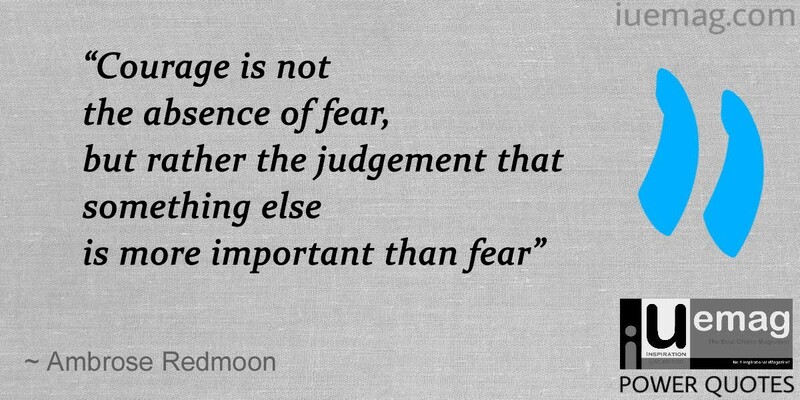 "Courage is not the absence of fear, but rather the judgement that something else is more important than fear." 3. 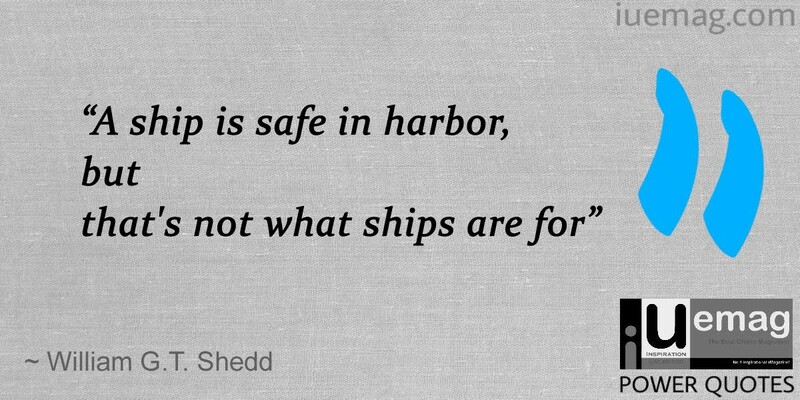 "A ship is safe in harbor, but that's not what ships are for." 4. 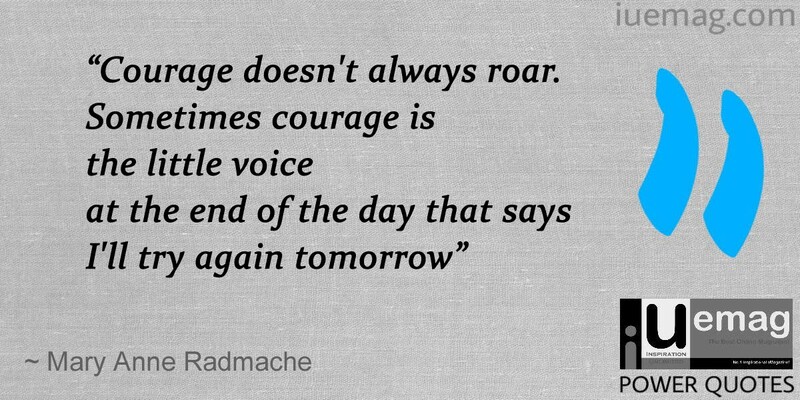 "Courage doesn't always roar. Sometimes courage is the little voice at the end of the day that says I'll try again tomorrow." 5. "Never say never, because limits, like fears, are often just an illusion." Any facts, figures or references stated here are made by the author & don't reflect the endorsement of iU at all times unless otherwise drafted by official staff at iU. This article was first published here on 5th January 2017.